Cherry Team Homes where we intend to provide both Buyers and Sellers with an unforgettable real estate experience that makes them feel confident, fearless and valued working with us, not only during the buying and selling process but beyond closing so that they feel that they have gained a friend and trusted partner and can't wait to tell their friends and family about us. Our team will change the way you think about real estate and make you a raving fan, too! 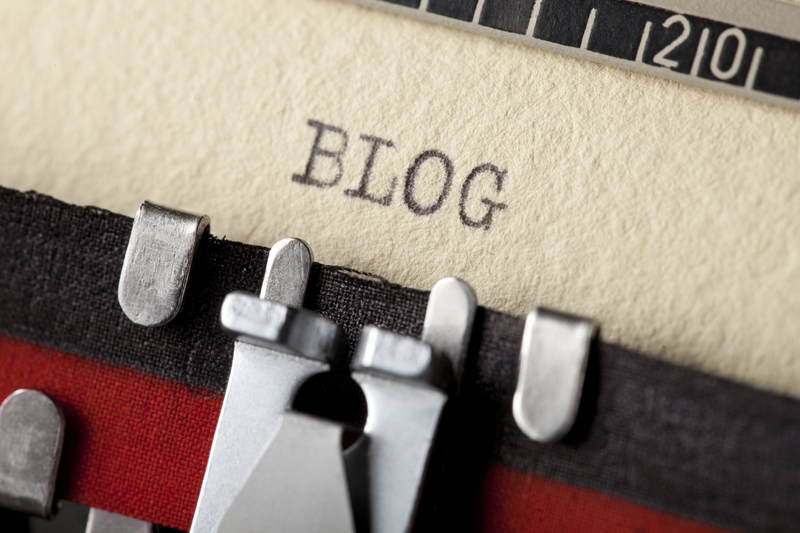 Welcome to our blog! We are committed to providing information and tips for people that are in the market to buy or sell a home, as well as, local news, events and mortgage education. We hope you find it useful and interesting and come back and visit us, often! 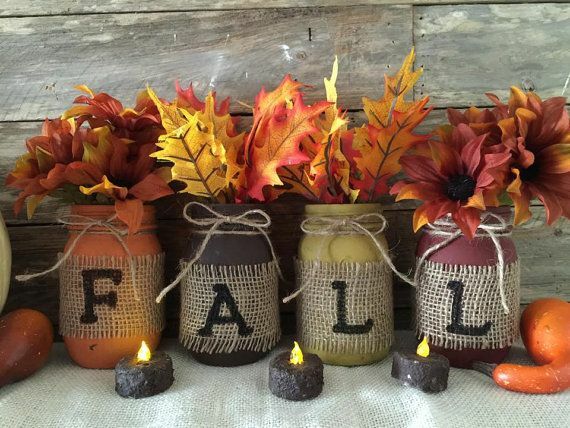 Fall makes me think of football, bonfires, Halloween, beautiful leaves, leaves falling :/, cooler nights to sit on the porch and enjoy coffee, pumpkins, Thanksgiving and FESTIVALS! I tend to avoid festivals in the Summer simply because of the heat. I love to hear music outside, see local artists ware, shop for organic and locally grown food but only when it is not so hot outside, so Fall and Spring are the perfect times to enjoy these things. 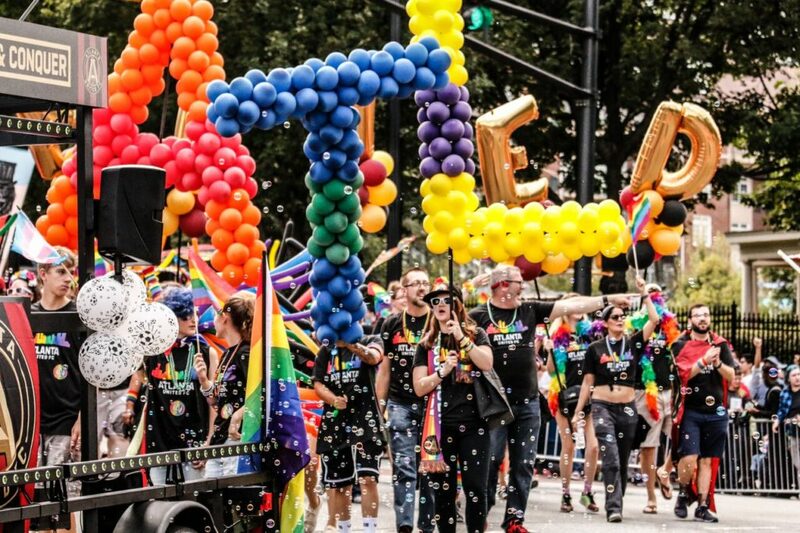 These are some of my favorite things to do in Atlanta, this time of the year! I hope that if you have not indulged in some of these activities, you will. The Atlanta Chili Cookoff What besides perhaps your stomach doesn’t love some chili? Even if chili is not your thing, it is a great place to enjoy the smells and drink some beer and see what team wins the competition. Atlanta Pride Parade I have marched in the Atlanta Pride Parade several years in a row to support of the LGBTQ community and can firmly attest to the joy in participating. Head down, enjoy some drinks and dancing, watch all the floats, and people participating. You won’t be disappointed and it is FREE! How about some family fun at the pumpkin festival? 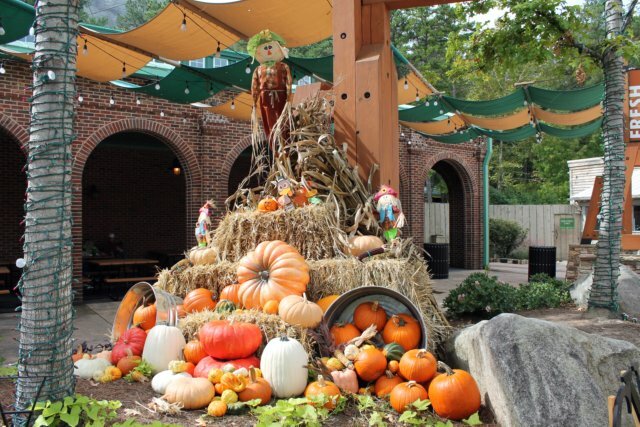 Stone Mountain has an annual pumpkin festival that begins the weekend of Sept 22nd and runs through October. There are loads of things for the kids to do and it looks like this year they have added additional night time fun, complete with glow in the dark jack o lanterns. Have you ventured to Oakland Cemetary? 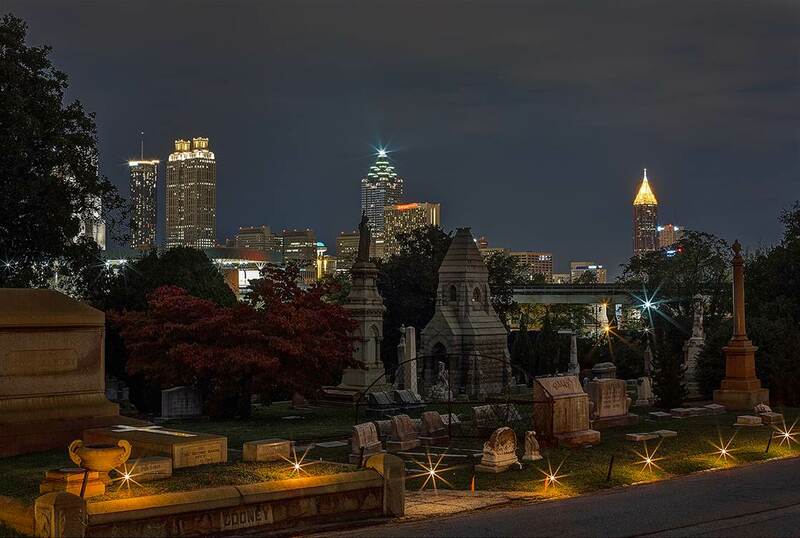 If not, check out the Halloween tours that are an Atlanta favorite and should be added to your bucket list. They sell out quickly, and the tour is meant to enlighten the spirit of Halloween and everyone is encouraged to come in costume! What a great way to learn about Atlanta history and enjoy a stroll through one of Atlanta’s most historic places. So, you fancy parades do you? In that case, I am sure you have not missed Little Five Points Halloween festival and parade. 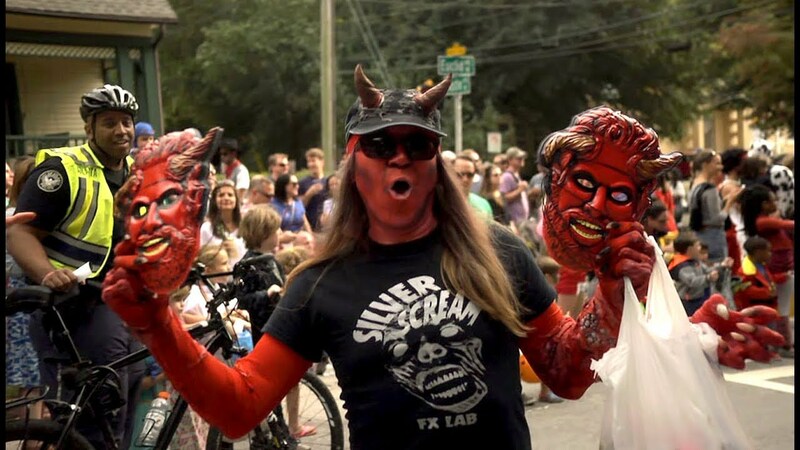 If by chance you have missed it in the past, make sure to head to L5P this year to see ghouls, goblins, witches and warlocks in one of Atlanta’s most eclectic neighborhoods. You can come hungry and thirsty because there will be plenty of food and drinks to go around. Don’t shy away from bringing the kids, they will love all the candy corn! Calling all foodies! The 2018 Taste of Atlanta tickets are on sale, now. 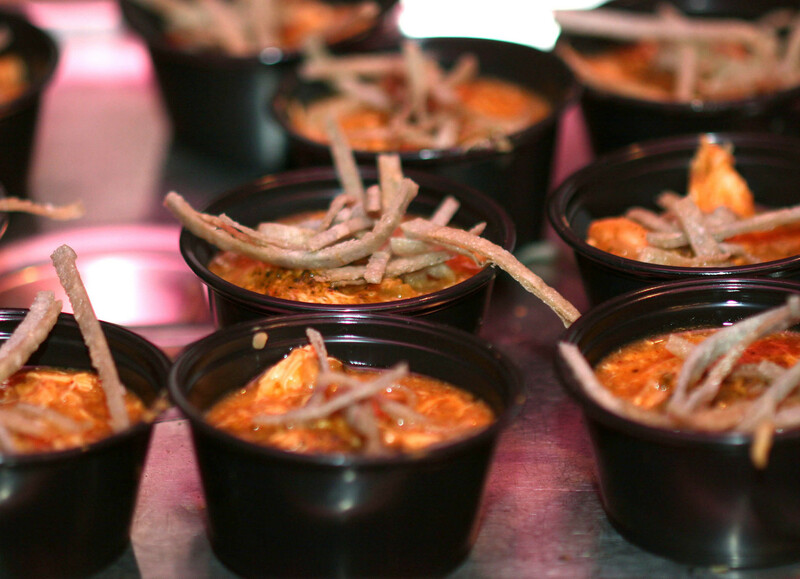 Head down to the Old Fourth Ward and enjoy over 80 restaurants savory, mouth watering food. Not only is there food o’ plenty, there is live music, activities for the kids and other vendors. If food is your thing, then this is the place to be. Happy Fall Y’all! I hope you enjoy some good food and festivals this season. The Best Reasons To Sell Your Atlanta Home, NOW! 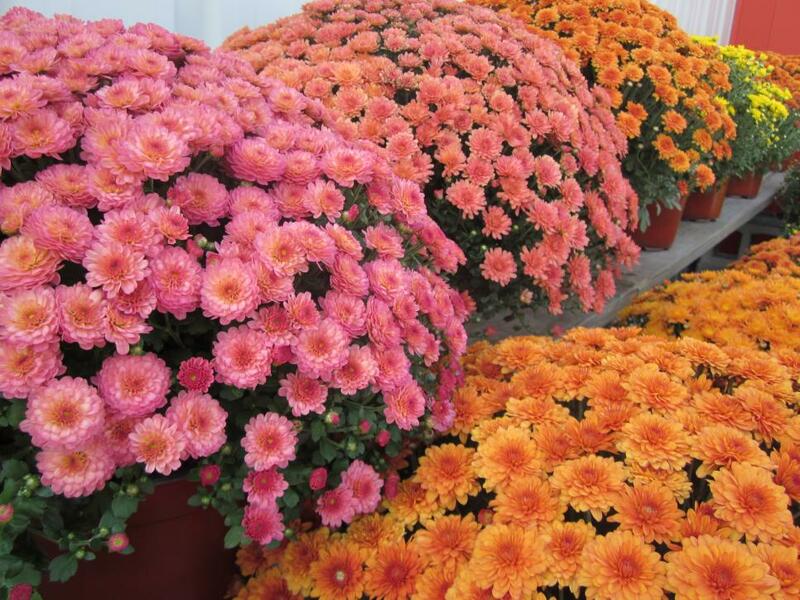 Ahh, Fall is here (as I type this it is 91 degrees in Atlanta-a girl can dream!) in theory anyway, if not in reality. Football is back, kids are in school, pumpkin spice everything is here, cooler nights are just around the corner and it IS one of the BEST times to sell your home. In Atlanta, our Summer selling season was quite frankly a little flat this year. I wondered if the Fall would follow suit or we would see a more traditional uptick. So far, the trend seems to be on track for the market to heat back up. Fall, in my opinion, is actually the best time of the year, but nationally it is the second best time :). I think this year, will be particularly fiery for a number if reasons, for instance, buyers are realizing mortgage rates are not coming down, sellers are starting to realize the equity they have experienced over the last 5-6 yrs. is starting to flatten a bit, rentals rates are skyrocketing and getting financing has become a little easier. So why do I think this is the best time of the year to sell? It is not 250 degrees outside. Looking at houses in the Summer sweat zone is not that fun. Kids get cranky, people get cranky, competition is at an all-time high so buyers can afford to be picky, you are trying to schedule vacation and showings all at the same time and did I mention it is 250 degrees? Competition is less. As mentioned above in the Spring and Summer markets, competition is abundant. In the Fall, your neighbors decided they would not bother until Spring to sell, so make your move to sell your home now, before they change their minds! Less competition means buyers cannot afford to be as picky and sellers to get more for their homes than the neighbor that waited until Spring. Of course, you have to price it correctly, buyers will not ever just pay anything and no, you are not the only house up for sale. Having pictures taken before all the leaves fall off the trees can make for a great photo shoot, especially when the leaves are changing colors. 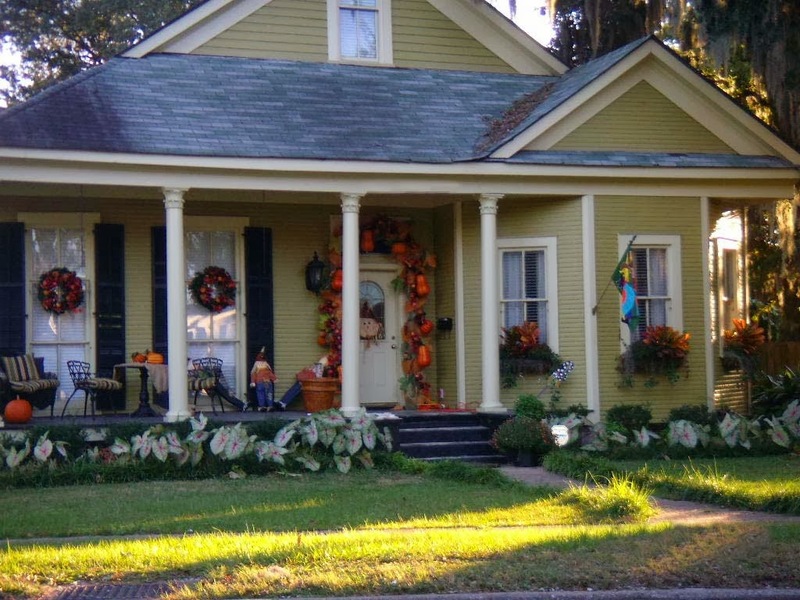 Curb appeal matters, so get your rake handy, put out the festive mums and pansies and have the photographer take some lovely pictures so that every buyer wants to be the first one at your home. Buyers are more serious. This is true in the Fall and Winter, actually. While you may have less traffic, the buyers that are out and about tend to be more serious than in the Spring and Summer. Tax breaks. Who doesn’t love a tax break? Selling your home before the end of the year means you will benefit from the tax break THIS year versus waiting until Spring to sell and getting them next year. BOOM! Mo' money! This goes back to less competition and more serious buyers. For a seller that is great news. 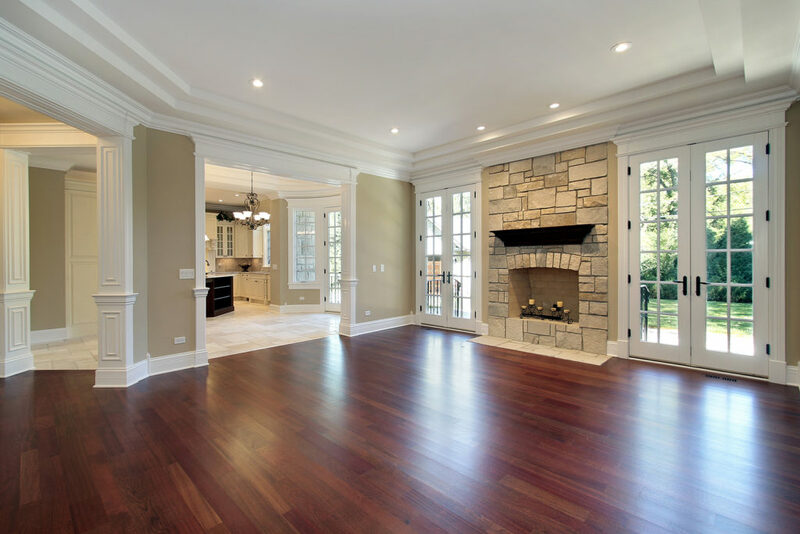 Price your home correctly (the first time) and you will get what you want for it. Why? Your neighbor decided to wait until Spring and you decided to capitalize on the lack of inventory. Daylight savings time is over. This is good for sellers and bad for buyers. Longer daylight hours mean buyers have the opportunity to see houses until almost 9 PM, which can be hard on households with children, people that go to bed early etc. so when it gets dark early, it limits the showings to 9-5 (typically) and that is more conducive for sellers especially when selling a home is a pain anyway. 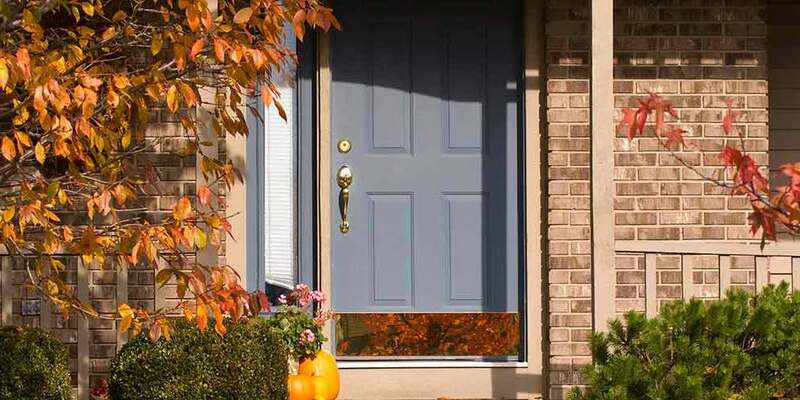 Work tends to slow down for contractors in the Fall and Winter, as well. So, if repairs are needed you will find contractors will be competitive in their pricing versus gouging you when they are overloaded with work and can charge a premium. Last but not least, holidays are right around the corner and why not go ahead and move before you bring out the holiday decorations, plus it is a great opportunity to go through them and get rid of unwanted items by either donating them or having a yard sale. Working with Cherry Team Homes feels like family, fill out this form for a free consultation to see if selling your home this Fall is the right move for you. So, you are thinking about selling your home. Do you understand what the listing agreement says? Did you read the agreement? 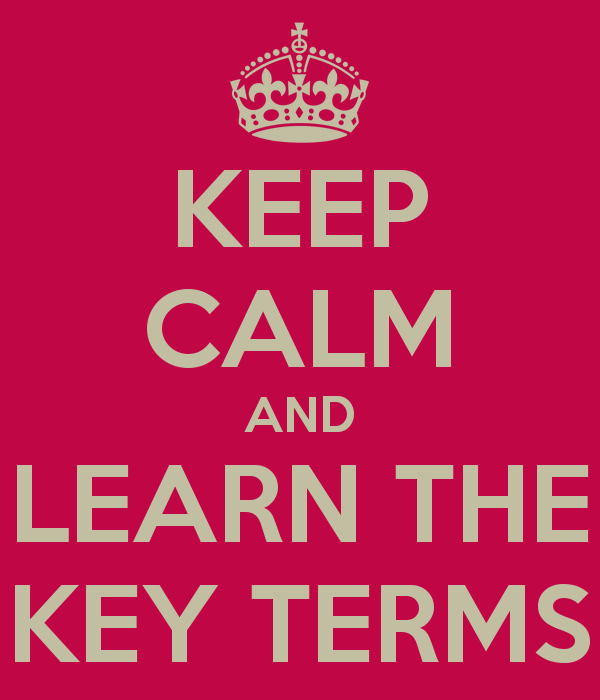 Did your agent spend time explaining key terms? Education in real estate is something that every single real estate agent should spend some time with their clients doing, sadly most do not. Since you are about to enter into a contract with a real estate agent let's start with the basics. Here are some of the most important terms covered by a real estate listing agreement. The commission amount you’ll pay your agent. This will usually be 5% to 6% of the proceeds of the sale. Exclusive right to sell. This gives your agent has the exclusive right to sell your property for the duration of the agreement. Other types of arrangements with an agent are possible, but the exclusive arrangement will be your agent’s first choice. Duration. Your listing agreement will last for a set amount of time, such as three or six months. From your perspective, a shorter listing agreement is better. If you don’t like the agent’s services, you can walk away and choose a different agent. (And if you're happy, renewing should be easy.) Of course, from the agent’s perspective, a longer listing agreement is preferable, because the agent is going to do a lot of work to get the house ready to sell, and won’t want to risk losing a commission just as the property is starting to garner some real interest. Safety or protection clause. Even though the contract has an expiration date, it will probably also include a clause that protects the agent or broker after that date. This prevents you from trying to avoid paying an agent’s commission by finding a buyer while you’re represented by the agent but waiting to conduct the sale until your listing agreement expires. You’ll want an exception if you are ending the contract because you decide to change listing agents, however—if that agent sells quickly and your clause entitles the first agent to a cut, you could owe two commissions. Duties. 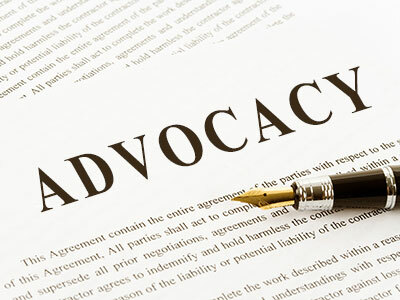 The agreement may lay out the activities the agent is authorized to conduct on your behalf. Read through the list carefully, making sure you understand everything. If there are specific duties you want to require of the agent—for example, listing the property on the MLS, posting a yard sign, or creating a listing sheet—specify those as well. Representations. The agreement may also require you to verify certain facts—for instance, that you’re in a legal position to sell the property and that to your knowledge no one else has an ownership interest in it. Dispute resolution. The agreement will probably specify how you will handle disputes that you can’t work out informally, such as through mediation or binding arbitration. Cyber Fraud In Real Estate is Real. Have You Been Victimized? 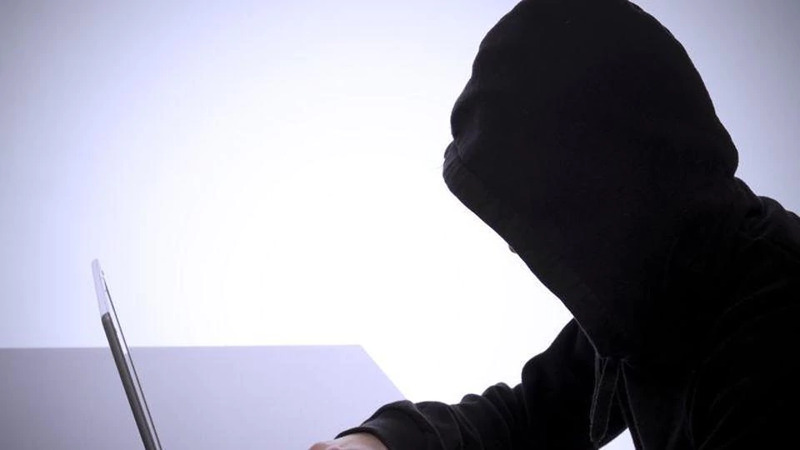 Cyber Fraud in real estate is a real and costly thing. Owning a home is part of the American dream and is an exciting time for Buyers. But as you are preparing to get the keys to your new home, hackers and cyber thieves are looking to turn your dream into a nightmare. Wire fraud scams are a growing problem that can cost you a huge financial loss. Our team, but luckily not one of our clients just experienced this first hand. We represented a Landlord who was renting out one of his rental properties and the newly approved tenants were wiring their deposit and first month’s rent. I emailed the agent and the tenant with the wiring information and the tenant quickly responded and said she had already wired the money. Immediately flags started to go up because I knew I had JUST sent her the information. So, I asked her “who did you send the money to”? Again she responded very quickly and said the bank that you sent me the instructions for and you confirmed that you received the wire receipt! I thought, oh dear, something is very wrong, I never confirmed anything. I asked her to please send me the email where I confirmed that I had received the receipt. Meanwhile, I panicked a little, admittedly and proceeded to call my IT manager to ask about changing all the passwords for our team because I was certain we were hacked. Thankfully for us, we were not hacked and he then proceeded to tell me what happened. I forwarded him the email the tenant sent me and he walked me through how this scam works. 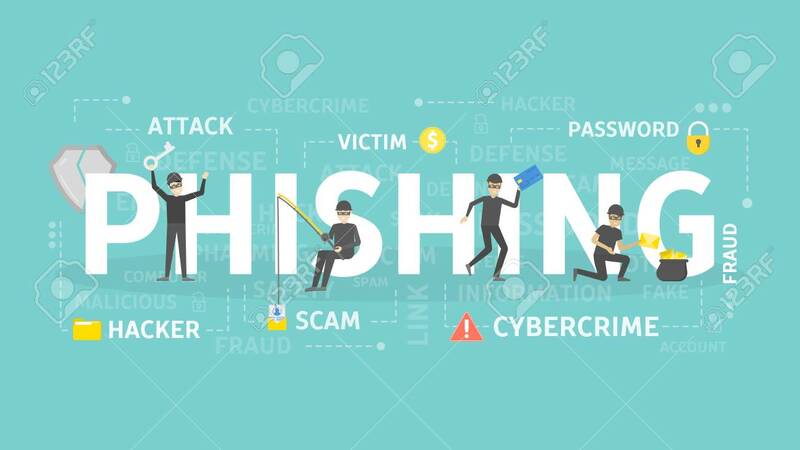 The hacker monitors certain email accounts that have used words they are phishing for like wiring instructions, earnest money etc. and then spoofs one of the emails. In this case, they spoofed my email adding in a subtle extra letter and hoped nobody would notice, they didn’t. In essence, they hijacked our email chain and took it over and the tenant was none the wiser and then wired money to an account that was not my clients. By the time it was caught, the money was likely overseas and the tenant was left to negotiate with the bank on if it was possible to recover any or all of it. Scammers are smart and also up to nothing good. I felt terrible for the tenant but also realized she has likely not be counseled by her agent about cyber fraud. The Cherry Team and PalmerHouse Properties have systems and processes in place, however, nothing is infallible no matter how hard we try. Call, don’t email: Confirm all wiring instructions by phone before transferring funds. Use the phone number from the company’s website or a business card. Be suspicious: It’s not common for companies to change wiring instructions and payment information. Confirm it all: Ask the sender to confirm not just the account number but also the name on the account before sending a wire. Verify immediately: Call to validate that the funds were received. If you detect that the money was sent to the wrong account within 24 hours, it gives you the best chance of recovering your money. Forward, don’t reply: When responding to an email, hit forward instead of reply and then start typing in the person’s email address. Criminals use email addresses that are very similar to the real one for a company. By typing in email addresses makes it easier to discover if someone is trying to commit fraud. If you feel like you have been a victim of wire fraud, call the bank immediately and issue a recall notice for the wire transfer and report the crime to www.IC3.gov. Anyone Up For A Weekend Getaway? Suffering from the end of the Summer blues? Are you looking for one last weekend getaway before Summer wraps up? The kids are back in school but summer is still around. What are the three best destinations in Georgia for a weekend getaway? That depends on what you are looking for but all of these getaways are an easy drive from Atlanta and may be just what is needed to cure the end of the summertime blues. 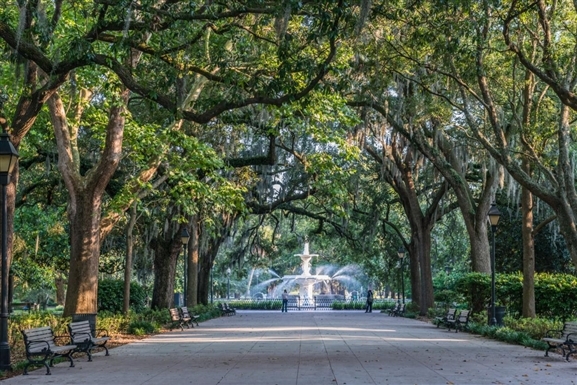 Savannah is full of charm, known for its Spanish moss and historic squares, it has something for everyone. Whether you are looking for relaxation, good food, history, shopping, beach, charm or some of all, Savannah is the place to go. 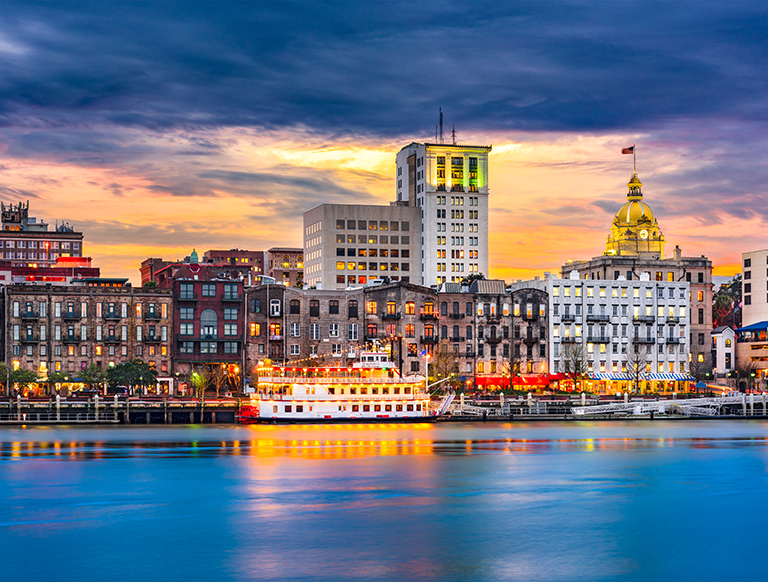 Head down to the river and do some shopping or eat at one of the many restaurants, walk along the riverfront and enjoy the unique flavor and charm that defines Savannah. Savannah comes alive at night so if drinking is on your mind, never fear there are plenty of bars to choose from and you can carry your drink from one establishment to another without worrying about breaking any open container laws. YAY for Savannah! You will also find riverboats cruising along the river and if you are so inclined; hop on one and hear a little history about why the river is so important for the economy, culture etc. of Savannah. Savannah is rich with history and culture so I encourage (especially if this is your first visit) hooking up with a tour company and learning about the architecture, squares, art, mansions, cemeteries, Civil War, Revolutionary War, ghosts and history of this port city. You can choose to walk, bike, bus or Segway your way around. Tybee Island is a short drive from Savannah, so if you have not had your fill of the beach this year, load up on sunscreen and head to Tybee. Make sure to check out the lighthouse while you are there and often times at night there is entertainment at the pavilion on the beach! 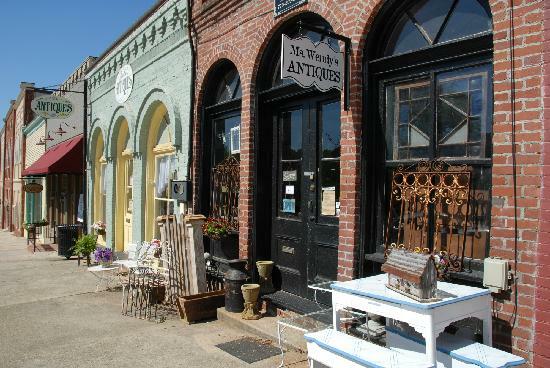 Just a short drive from Atlanta, Senoia, GA is another charming historic town. If you are looking for a slower pace and to disconnect from the world for the weekend, Senoia will not let you down. Known for its southern loveliness and historic mansions Senoia has become a more popular destination to visit because fans of The Walking Dead have discovered it is (at times) filmed there. Stroll around main street, take pictures, have coffee at Senoia Coffee & Cafe, visit some of the unique shops full of farmhouse wares, zombie gear and antiques, consider a Walking Dead Tour (even if you are not a fan) and don’t forget to try some fried green tomatoes at the Redneck Gourmet and Katie Lou’s Cafe! There is something for everyone, so hop in the car and head down. Hiking? Wineries? Festivals? Waterfalls? Does this sound like more your speed? Blairsville is one of Georgia’s best-kept secrets. 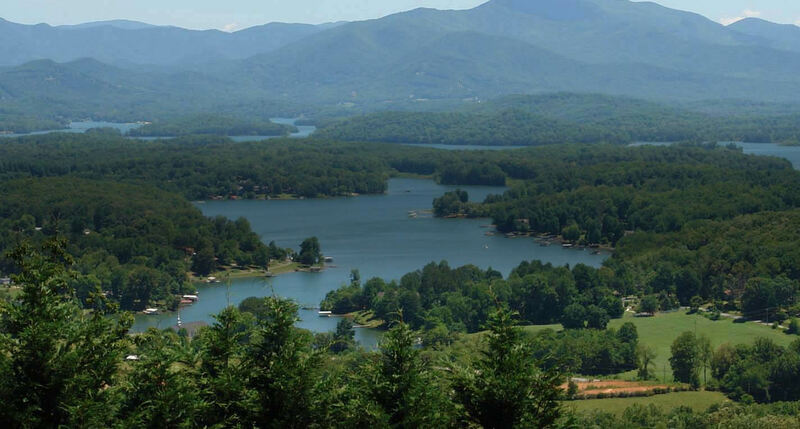 It sits in the heart of the Blue Ridge Mountains and is about 2.5 hours north of Atlanta. If you love outdoor activities Blairsville has plenty of options. The Appalachian Trail runs through Blairsville, Brasstown Bald is Georgia’s highest elevation and right outside of Blairsville, there are several waterfalls like Desoto Falls within a quick drive from Blairsville and of course Vogel State Park for camping, hiking, and fishing. Not into hiking or waterfalls? Blairsville has also become home for several wineries and distilleries and was recently named an American Viticultural Area (AVA) - a distinction carried by regions like Napa Valley and Sonoma. Spend the weekend listening to live music, tasting, enjoying and sniffing the local wine. If you love festivals and you have not been to Blairsville, you are missing out. 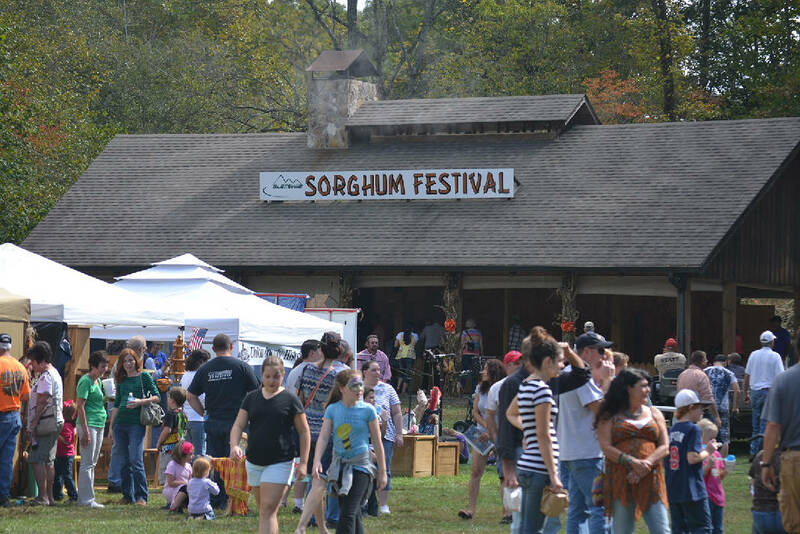 Blairsville is known for year-round festivals and depending on whether you are into music, food, crafts, storytelling, arts or cars there is a festival for you. As the summer wraps up, why not take one last weekend and share some time with your family and friends, pick a destination and GO! We can agree that it’s easy to tell when you need to replace your carpet or repaint the walls; you see them every day and when they look old, dingy, stained or smelly it’s easy to notice. 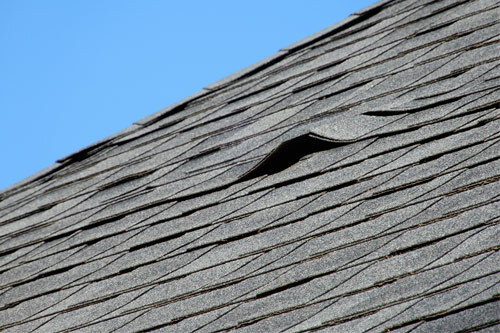 The wear and tear on your roof is a different thing. Most of the time you are not likely to be spending time looking up at your roof and analyzing how it looks or if it should be replaced. 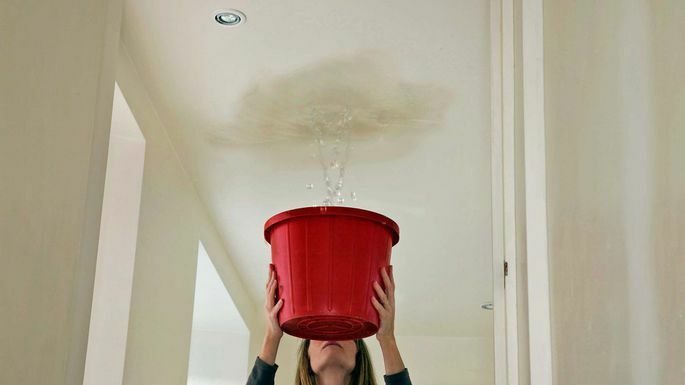 The first indication for the large majority of homeowners that it’s time for a new roof is when water starts leaking into your home. • It’s old: most roofs have a 20-25 year warranty, if it’s older than that, consider replacing. Depending on where you live e.g., the South, your roof may not last 20 years due to extreme temperatures. 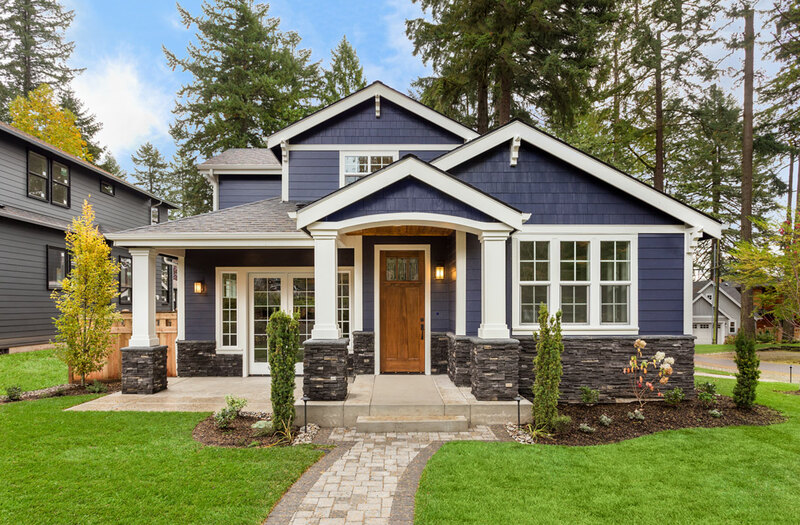 If you suspect that it’s time to replace the roof, now is the time to talk with several roofing companies about your options for replacement or repairs, before you are facing more expensive damage. It should also be noted that if you are considering selling your home, having the roof inspected prior to listing it with a real estate agent may avoid costly repairs or requests that a buyer requests. In our last blog, we started to explain the many reasons why you need and should hire a buyers agent especially when building a new home. I left off at inspections and why you should not count on the county inspector to act as the inspector. 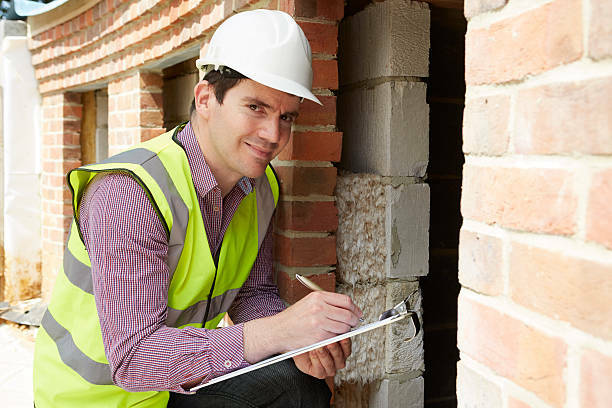 Hiring a property inspector is a critical step that many buyers either overlook or do not realize that they are entitled to have one. It is not up to the builder’s agent to broadcast to you that this is something you should do. Why would they do that? They represent the builder. County inspectors look for code issues only, not substandard construction, simply put they do not care. Having an inspector working for you is a prudent decision. Builders are notorious for screwing things up, whether it is an upgrade you have paid for that they overlook in a change order, perhaps they do not mention to you that there is a drainage easement on your property, they may delay building the home etc. It is baffling to me (as an agent) how many people I have spoken to through the course of my career that did not or were not interested in hiring an agent, believing that the onsite agent would represent them, nothing could go wrong OR they would somehow save money on the home. Simply put, this is not how these things work but the builders know the public is naive when it comes to these matters, so to say they take advantage would be an understatement. Building a new home should be an exciting time for homebuyers not riddled with stress along the way. All too often homebuyers do not even realize the mistake(s) has been made until they have closed on the property and now it is their problem. As often as I have heard buyers say they do not need or want a buyers agent involved in their purchase of a new home I have also heard the regret after the transaction, many swearing they would never make that mistake again. 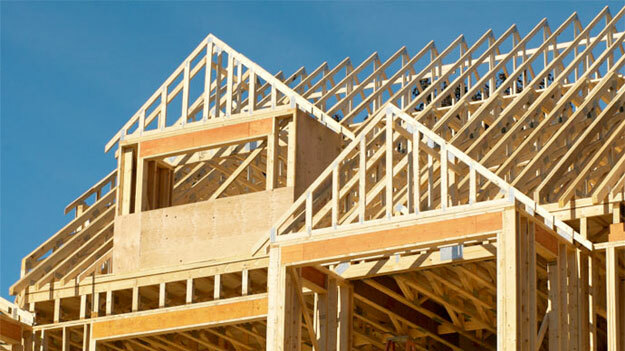 If you are considering building a new construction home in the Atlanta area (or beyond) it is not only your right, but your duty to protect yourself and your investment. For more information please do not hesitate to reach out to us at info@cherryteamhomes.com or 404-419-6899 for a FREE consultation on why having a real estate agent on your side will be one of the best decisions you can make as you build your dream home. Can You Spot These Problems When Building Your Dream Home? I am buying new construction why would I need a real estate agent? The onsite agent can help me, it is a brand new home there won’t be anything wrong with it. I have heard these reasons and many more throughout my career and quite frankly it sticks in my craw. That line of thinking can literally cost you thousands of dollars, a bit of your sanity and turn your new construction dream home into a nightmare in short order. Onsite agents are helpful, they are nice, sometimes they are actually real estate agents sometimes they are not, they will act like your BFF, this is all true BUT onsite agents are more like police officers. They must write a certain number of contracts every month, quarter or whatever the builder has dictated in order to keep their jobs. So, there’s some incentive for them to be ‘nice and helpful’. More importantly, they DO NOT represent the buyer (a detail some of them choose to gloss over) they represent the builder, always, 100% of the time. In layman’s terms, they do not have your best interest at heart, no matter how ‘nice’ they are. Having an agent represent you and looking out for you, willing to fight for you is infinitely better than being 'nice'. Most builders use their own contracts versus a state contract. They pay their attorney’s to draw up a lengthy (to date the longest I have seen was 88 pages beginning to end) contract that protects them every which way to Sunday. There is very little, if anything, in the builder's contract, that protects the buyer. I routinely see clauses like; the buyer’s agent cannot be present for a walkthrough, finance contingencies that are so short I wonder why they even bother to put them in the contract, the builder can delay closing for eternity with no penalty but if a buyer delays the closing they pay a per diem penalty (sometimes upfront), change order fees, builder can terminate the contract if they decide that the buyer is too upset about something etc. I and my team spend time with our clients up front so that they understand all that can go right and what will more than likely go wrong during the process and this includes anything from delayed permitting, delayed construction, poor construction, back orders of materials, delayed closings, bad inspections etc. Having an agent that represents you, that can explain the nuances of the contract, make sense of the contract so you clearly understand what it says, is vital. Once you have written a contract and plunked down your money this is where the fun begins. The first step is picking the options that go into the home and make it uniquely yours. 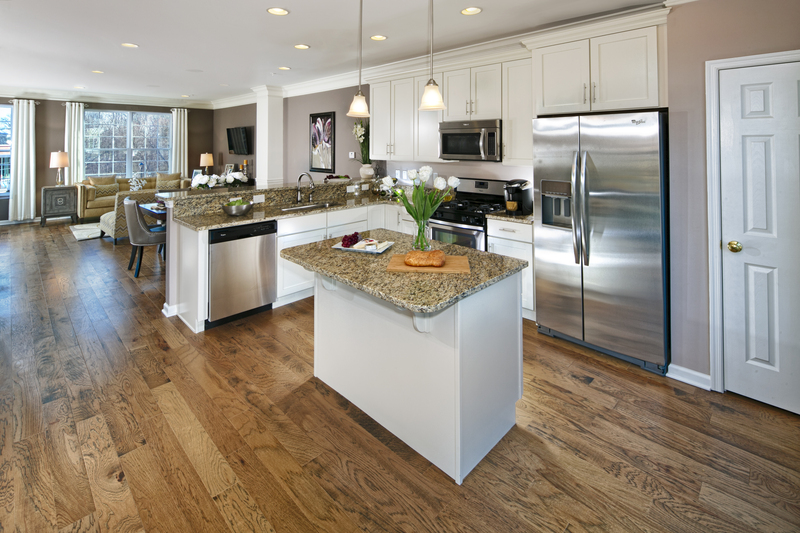 Buyers select cabinets, flooring, faucets, lighting, countertops, showers, tubs, siding, elevation, all of the things that are fun when you are building your own home. This is also where the builder soaks you for more money. By soak I mean robs you. This is where the home you thought was going to be $325,000.00 turns into $400,000.00 in a matter of hours. Who can resist the shiny bright model home? They build the model homes knowing it will appeal to you and you will want all the upgrades that model home has. Having your (not the builders) agent guide you through this is will pay off in spades. An agent can help you stay on budget, not get carried away, help you understand paying the builder $600 for a ceiling fan is not a good use of money when you can do that after closing and save money or why picking the Italian marble is not going to make you more money in the future but will cost you mightily today. Next, you should be scheduled for a pre-construction meeting with the builder, project manager or superintendent to review all the plans and the options. Did you catch where the builder missed the exterior lights you paid for as an upgrade? Your real estate agent will. Every contract is going to give the builder the exclusive right to decide where the house will sit on the lot, that is a guarantee, but what about grading? What about potential easement issues? What about setback lines? Where will the neighbor's house be on their lot? These are some of the questions a buyer will not think about most of the time, but your agent should. It is best to have a clear understanding of everything than to later come to the realization that the builder is not going to level the lot like you thought he would. After several weeks go by and construction is set to begin, you are excited, you are telling your friends and family you are building your dream home. Every weekend you drive by to see how much progress they have made and you drive by and nothing seems to be going on, you drive by the next weekend nada, the next zilch and so on. The onsite agent is still super ‘nice’ and giving you all sorts of excuses. They blame permitting, they are backlogged, short on subcontractors etc. All the while, you are planning your move. Having an agent advocate for you and get to the crux of the matter will help with your stress load. It also helps to have a professional on your side to ask the right questions, not just any question. Finally, after what seems to be an eternity, the slab is poured. It has been 3 months since you signed your contract and they are just now pouring the slab. This happens routinely. The onsite agent tells you to get ready, framing is imminent the builder is ready to schedule the pre-drywall walkthrough. You are moving and grooving now! It is also the time to have the home inspected. Did the onsite agent tell you that? No. They represent the builder. Why would you have the house inspected now? Here is why. Over the years here are just a few of the items our inspectors have uncovered. Every issue just mentioned was not caught by the county inspector so it is not prudent to depend on them to do the inspection for your home. County inspectors look at hundreds of homes in a week and are primarily looking for code violations, not shoddy work. Next week, I will cover what happens from here. 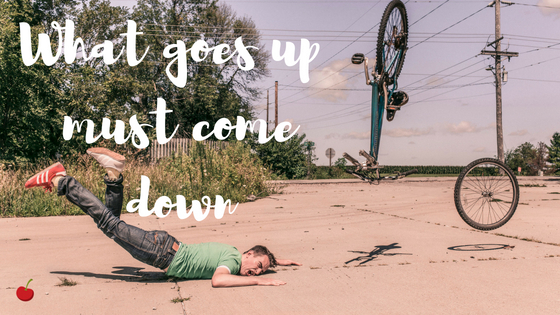 Hopefully, you are getting the picture that many things can and often do go wrong and not having an agent help you navigate this, can be very costly. Real Property Titles Explained Clear? Cloud? Color? The terminology used to describe title can be confusing. First of all, “title” in property law is the group of rights to and in a piece of property. These rights can potentially be divided up and held by different parties. Most often in a home purchase, one or two people receive all the rights of the title. What is color of title? “Color of title” is a phrase that refers to a title that appears to be good and valid, but in fact, the title is invalid due to a vital defect. 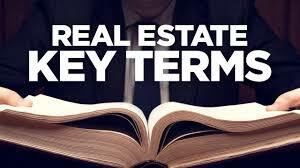 An example of this is where a person sells a property and transfers title when that person did not have the effective title or any title at all. This can come into play when determining how long a person is required to have active ownership of a property to claim rights through adverse possession or other legal doctrines. 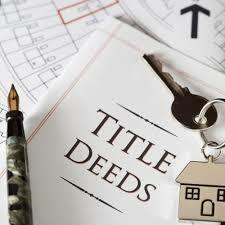 A “cloud on title” is any type of claim or encumbrance that could invalidate or impair the title rights in a property. 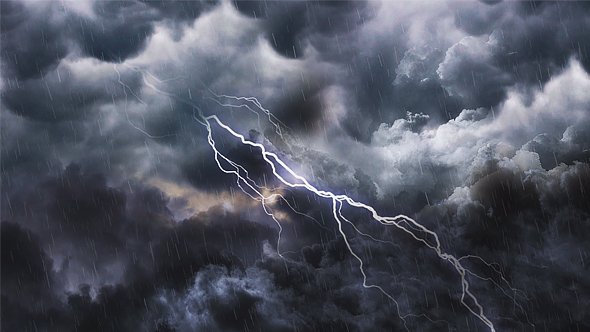 There are many types of “clouds” that can appear on the title. Some are innocuous. Some can be very troublesome. Examples range from old open mortgages from prior owners to judgment liens, to improvements built on top of easements. Finally, “clear title” is used to say that a property is owned free and clear of any encumbrances. It is extremely rare that a property has “clear” title. Easements, existing mortgages, HOA covenants and may other items create encumbrances. However, it is not necessary to have “clear” title in order to buy or sell property in Georgia. The important term is “good and marketable title.” We will tackle that term next month. As always, at Ganek, PC we have trained and helpful attorneys and staff to assist you with questions on this or any other topic related to real property purchases in Georgia. The law of gravity says what goes up must come down. Have you been sitting on the fence thinking about buying a home but have not pulled the trigger, yet? A word of caution for everyone sitting on the proverbial fence. What goes up must also come down. It is a frustrating market in many areas and the Atlanta real estate market is not excluded from the pain that some buyers are facing. To quote a client of mine, “I wish the market would stop being a fantasy” I laughed out loud because he was comparing the market to fantasy football. Funny to me, not so much to him as we have had our second offer rejected, even though it was 10k over the list price and an otherwise awesome offer. I reminded him, we are playing in the big leagues and patience and aggressiveness is the key. Atlanta and the surrounding areas have been plagued with an inventory shortage in the under $300,000.00 price point for the last several years, making it more and more frustrating for would be first time home buyers, people that are moving up or down at this price point and it does not seem to be getting any better. Many folks considering entering the market have been waiting, hoping for the inventory to change. They have heard stories from their friends, family, co-workers or they keep up with the local real estate market. They have heard about the multiple offers, people paying substantially more for what a house was listed for, as many as 30 offers on a property etc. While they have been waiting, interest rates have done nothing but continue to rise. And when interest rates rise, what you qualify for when it comes to a mortgage comes down. While the impact may not be sufficient for everyone for them to move off the fence, it certainly will and should influence some people. One of our clients found out last week that while 6 months ago they qualified for just over $300k with today’s rates they now qualify for just about $285k. It almost turned into a bit of a fiasco because the house they loved and wanted to make an offer on was listed for $300k, just out of reach for them. Thankfully, we were able to negotiate the price down a bit and the lender was able to get the qualification up slightly so it has worked out, many will not be so lucky. In a broader sense, if a buyer was only qualified for a mortgage at $175k and has either decided not to pursue buying a home yet because they are hoping for the market change or they have been looking and are like my client above, they have just not had any luck yet, the $175K qualification can easily turn to $165k in a matter of hours. Literally. 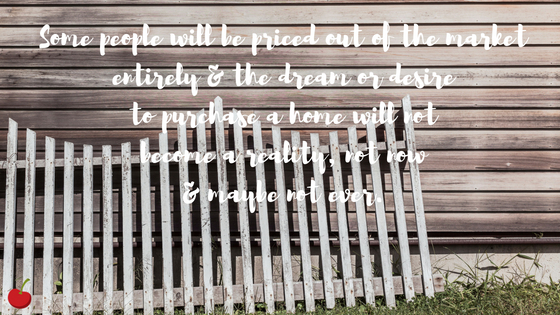 Simply put; some people will be priced out of the market entirely and the dream or desire of wanting to buy a home will not become a reality, not now and maybe not ever. I am ringing the bell to all of those sitting on the fence hoping the inventory will increase and the mortgage rates will decrease, stop sitting and start acting, otherwise the market will decide for you.